Not mint, but pretty good. Yes, the biro, damn you J Castiau! think I might be knocking $990.00 off for that. Lol, still well done mate, definitely a sought after records among classical collectors by the looks. Last edited by amidar; 09-12-2015, 05:51 PM. Reason: four not three! Your Bach has such an unassuming cover Benny. Congrats. ....here's Alfred Brendel with the Vienna Chamber and Pro-Musica Orchestras in tow, just in time to save the day! I'm warming more and more to Brendel the more I listen. I finally copped his 90's recording of Beethoven's 'Waldstein' on CD and the earlier Beethoven 'Variations & Vignettes' on Turnabout (including 'Rule Britannia' and 'God Save The King') had me digging stuff I never thought I'd be into. I even watched a documentary about him and liked him so much I want a Brendel T-Shirt....so how would I get on with him playing Mozart in an orchestral setting? I mentioned this some time back. The title is a lift from Borges. I tried to read a translation once and got tired of it very quickly. Strangely, I can’t find the Penguin Borges that I did like. Parris teases in his liner notes on the relationship between music and text. There are some pronounced clip-clop sounds in “A King of Fire and His Steed”. And yet Parris says to those who “hear…a horse’s hooves in [it] I can only say that I am astonished”. The drums in “A Bao A Qu” derive “from the beating in my clogged ears during a bad cold”. But then, “the siren-call in [“Sirens”] is clear even to me”. All very cute, but what is the point of trying to use music to illustrate imaginary beings? Probably it is almost placebo-like. Prompt the listener into discerning coherence and commonalities where there otherwise wouldn’t be any. Having listened on-and-off for several months I can say the following. “Amphisbaena” is a short torrent of percussion, strings and what-have-you, and is the first of the eight pieces. It succeeds by sheer momentum, if nothing else. “Amphisbaena Retroversa” is the same music in reverse and it comes at the end. Nice idea. If I ever use them in a mix I’ll reverse the order, just to be contrary. Having the steady drumbeat so quiet in “A Bao A Qu” is a neat trick. Every time I listen it is the drums that hold my attention. Parris set a fairly high bar for himself by calling a piece “Sirens”: whatever Ulysses heard must have been very compelling. What Parris gives us is conventionally pretty. Not boat-crashingly attractive - but then what would be? Worth $2, especially in a charitable context. Look, it is there on Youtube! 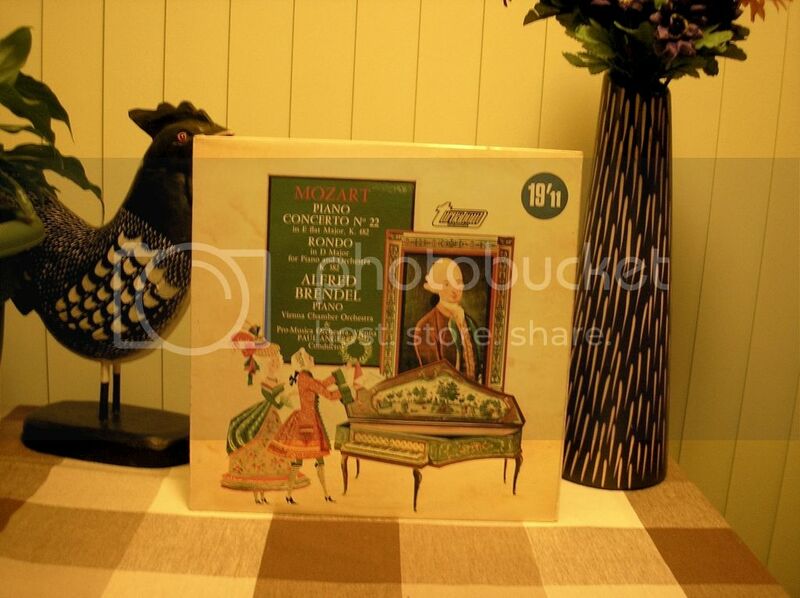 Side 2 has Robert Evatt’s “Quintet for Piano and Strings”. This was premiered in 1954, and must have sounded conventional even then. Evatt says that the piece “is not music of consuming technical interest or intellectual appeal”. You have to wonder if he didn’t think that he had done better since. Most of them were classical, but it was clear that this was no ordinary collection - this was eye-popping stuff, luxurious leather bound editions, 78s in carry cases, box sets, booklets, dowel spines, sleeves and dealer stickers from every period post-war and from all over the world, including a good deal of French and South American records. And who was there to sift through these treasures on behalf of VG+? Yes, yours truly, Mr Classical dilletante himself.....DOH!!!! At 50p a slice, it would have been very easy to go completely mad and bag anything that looked remotely interesting - I even considered putting in an offer for the lot, but where would I put them and what would I do with them? I've barely even sold a record in my life and since someone had obviously spent a lifetime putting this collection together, it seemed disrespectful. One day, I thought soberly, this could be my collection. Or yours. So, with mixed feelings, I dug in, conscious that I had about an hour before I had a prior engagement. I probably flicked past several highly collectible albums, but what can you do? If any more classical savvy collectors than I came by afterwards, they were going to hit paydirt, so I stuck to anything a) I was actually interested in and b) the odd thing that I thought might be worth a bob or two. I didn't leave with many at all, not even a dozen, none of which, as far as I can tell are worth much more than a five-spot anyway. It's a German issue. It's on the serious looking 'Europa' label. It has an arty sleeve that looks a bit like stained plant cells under a microscope. It's Sir Adrian Boult and ....The London Philharmonic Orchestra?....hold on a minute, isn't that the lot that did all those 'Sounds Astounding' type albums on Stereo Gold Award? Yes it is. And for the second time this thread we're touched by the hand of Leo Muller. Not that I imagine he had too much to do with this. 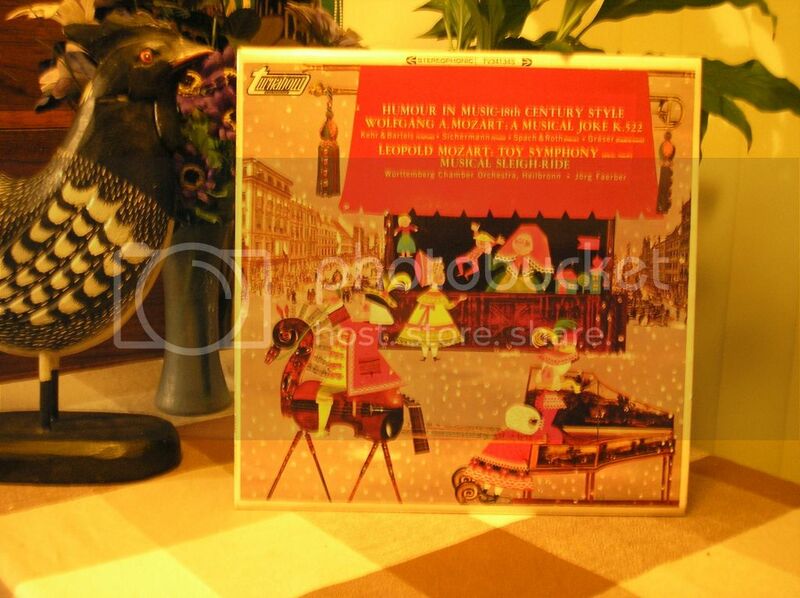 It's in a very woolly sort of stereo, perhaps a repackaging of Boult's 1961 recording? You guys would know better than I. Second movement. Brahms is down by the sea watching the waves swell and ebb, embarrassed by his ineffectiveness. For a while he considers throwing himself off the cliff, but something on the horizon gives him hope and in his head he starts to form a nascent melody - which sounds rather like Mozart. He goes home. Third movement - it's a new day, with new possibilities. He eats a hearty breakfast and dances with the maid. But as he is about to spring into action, he is filled by sudden indecision. He hasn't thought this through. Fourth movement. Night has fallen and Brahms emerges from the darkness, sneaking round your garden, piercing eggs with a needle and hiding them under your windows. Where the window is open he considers stitching anchovies into the hem of your curtains, but thinks better of it. Suddenly, drama!...he hasn't planned his escape! A tortuous period ensues where he cannot for the love of god find a taxi. Eventually wandering into town he finds a bus. At last he can relax and for the first time we begin to hear a recognisable melody, which is not bad, but not as memorable as, say, his third symphony will be. As the credits roll he hastily contrives a dramatic theme on which to end. He's pretty good on the power chords, but other than that it's a little aimless and overstays it's welcome. Are you at a loose end Giant Chicken? And I know that's not as easy as it sounds. Isn't that the problem with Brahms; he's not Beethoven? I've never really got with him. There are a few bits I like but I tend to think of him as a bit ponderous. If it took over twenty years he's making My Bloody Valentine look like a bunch of 'In,out, bish-bash-bosh there's your LP' merchants. 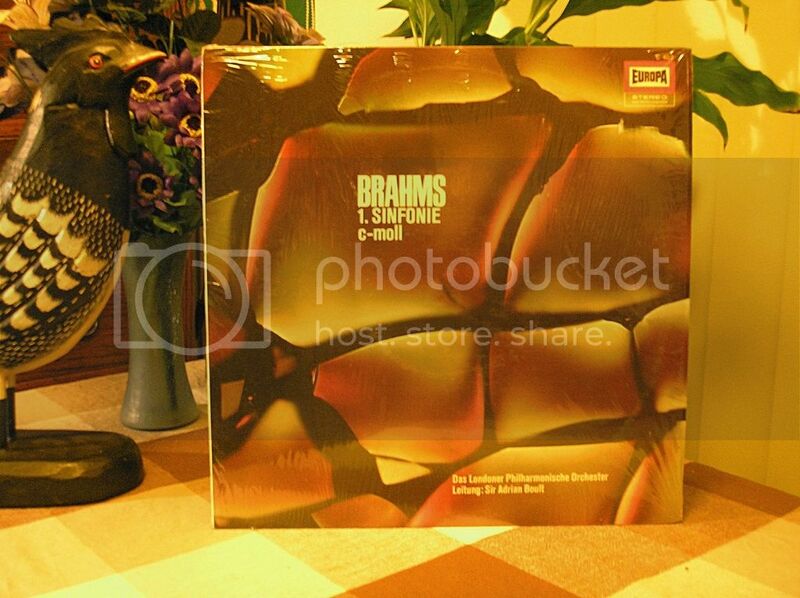 To this day I still can't listen to Brahms. Maybe we are spoilt, as we have instant access to allsorts.